OSEVEN EXPORTS, Wall Tiles Exporter India, Sanitarywares Exporter India, Vitrified Exporter India, Refractories Exporter India, Casting Products Exporter India, Home Powder Coating Exporter India, Bathroom Accessories Exporter India, Exporter of India, oseven exports Wankaner Gujarat India. 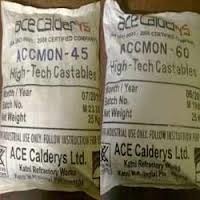 We manufacture and supply high quality Accmon 80 Spl. LC Castable that is useful for forming strong joints and is used extensively in building material, metallurgy and petrochemical industries. Product Type Accmon 80 Spl.